Atlanta-based Sublime Doughnuts has secured a lease for a second local bakery. The popular intown doughnut shop will occupy suite 107, a 1,386 square foot space in The Village at Druid Hills, at 2566 Briarcliff Road. 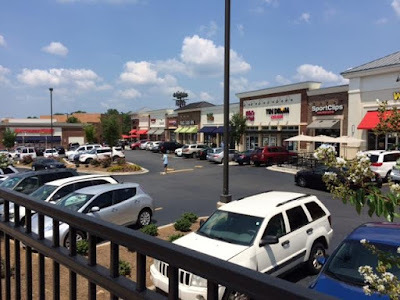 The center, at the intersection of North Druid Hills and Briarcliff Roads, is also home to a Willy's Mexicana Grill, Newk's Eatery, Tin Drum Asiacafe and Smallcakes, among other businesses. 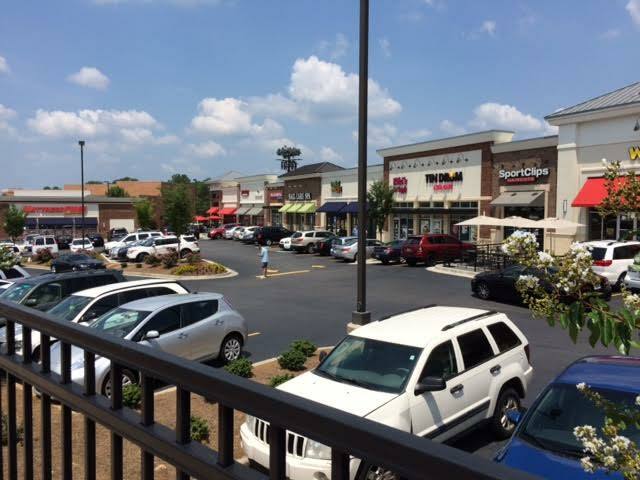 The suite that Sublime will occupy is sandwiched between Tropical Smoothie Cafe and Kiki's Pet Supply. The Sublime space was the last vacant space available in the center which was completed last year. It's worth mentioning that the center is, well, how can I say this, A COMPLETE CLUSTER parking-wise during peak lunch hours. To add another morning/lunch oriented business to the area, seems ill-advised. In business terms, "traffic" is a good thing, but I'd caution that this may be one of those "too much of a good thing" scenarios. There is no doubt that Sublime is popular and that another store is a great step in expanding the business. I just worry that either traffic and or limited parking will affect their chances of success. 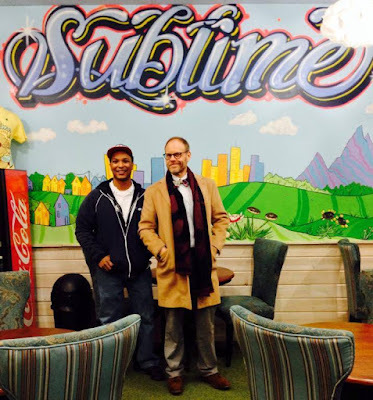 Kamal Grant, Sublime's founder and co-owner, opened the first Sublime Doughnuts in 2008 in a former donut shop on 10th Street. With limited funds at the time, Kamal kept the original "DONUT" sign in place and later added his own branding around it. With the success of Sublime came a book deal last year. Homemade Doughnuts: Techniques and Recipes for Making Sublime Doughnuts in Your Home Kitchen was penned by Grant and published last February. Speaking to Kamal at his shop, I enjoyed hearing him speak about his treats and how "healthy" they are. "Just like the Easter bunny, I (Grant) have never seen a calorie, therefore they don't exist." Grant added that his donuts "have one calorie." (Not only one, but they do have one...) The bakery's most publicly known branding message is "eat one that's worth it." Like the original location on 10th Street by Georgia Tech, the new store will be corporately owned and managed. According to the Sublime website, there are now not one, but two, franchised locations in Bangkok, Thailand. Word is that the new store will feature new doughnut flavors as well as house-made ice cream and a new coffee and tea program. It's likely that the new ice cream flavors will be just as creative and edgy as the doughnut offerings. Something tells me bacon, the latest culinary trend to hit sweets, will be involved in both offerings. Existing flavors include Maple Bacon Cheddar (Saturday only), A-Town Cream, Oreo Ice Cream Burger and Salted Caramel and Reduced Balsamic Vinegar. With more funding and notoriety, it's understood that the new store will be more "professional," but I hope it won't become too "cookie cutter." Flying Biscuit Cafe was once such a cute, independent eatery, but after expanding and later franchising, is just another breakfast joint. Sublime is not alone in Atlanta in bringing creative doughnuts to market. Upstart operation Bon Glaze has plans to open two locations in the coming months. One Bon Glaze store will be adjacent to bartaco in Buckhead, while the other will be located at the Brookleigh Marketplace on Johnson Ferry Road in Brookhaven. While zero work has been done on the new Sublime space thus far, Grant hopes to be open by November. 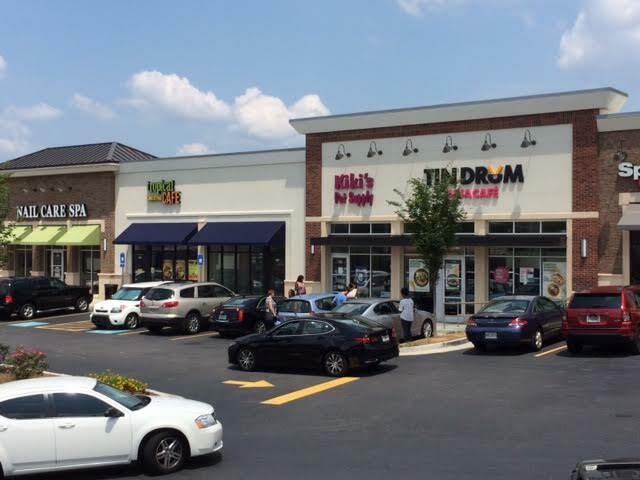 You can sign up to the "Grand Opening Party" of the Druid Hills store here. Where would you like to see the next Sublime open? Do you think the new location will succeed or be impacted by parking problems? What doughnut/ice cream flavor would you like to see offered? I like the idea of this concept in the Druid Hills center. Sure, it's another "restaurant," but doughnuts are for breakfast and I cannot imagine that parking is a real problem in the morning before lunchtime. I grew up just a couple blocks from this center and my parents still live there, so I'm looking forward to trying out this place to see what all the fuss is about. Best of luck to Kamal in this new location. I'm really excited about the prospect of having them in the neighborhood. There's not really a "doughnut" time of the day so I don't think parking will be an issue. I live close to the center and usually stop for lunch at willies, nukes, or tin drum on the weekends, and have never had a parking problem. The lot is goofy, but it works well enough. It's going to be hard to drive by on the way to work and not stop for a strawberries and cream. Everyone seems to be using "Druid Hills" and "North Druid Hills" interchangeably, when in fact they are two separate, VERY different neighborhoods. Druid Hills (think "Driving Miss Daisy") is centered southwest of Emory University and is represented by the Druid Hills Civic Association. North Druid Hills is less clearly defined, but often considered to be the general area along North Druid Hills Road between Toco Hills and Briarcliff Road. It's represented by the North Druid Hills Residents Association and is within the boundaries of the proposed new city of LaVista Hills. To clarify, pull up Mapquest and request directions from Druid Hills GA to North Druid Hills GA. Then do the same with Google Maps. As you can see, The Village at Druid Hills is misnamed. It should be called The Village at NORTH Druid Hills. Why does that matter in the least? Druid Hills is just an area, it is not a municipality so it has no real boundary. I typically just say "Emory Area" which covers them both. Love Sublime and the Strawberries and Cream donut - dangerously close to my office but a welcome addition to that strip center!! Whoo hoo ! So glad this will be near my office - I use to bring them in once in a while for the staff but the original location is just out of my way - this new location will be perfect !! well, I guess the November opening was a "doughnut in the sky." Since nothing has happened at the space, I am wondering if the deal is still live. Was wondering same thing since reading in CL about a SS location.